At shipping time, merchant automatically enters into an agreement with ourselves/the shipping line. The merchant / owner of shipment agrees to be bound by these Terms & Conditions as well as the terms of the bill of lading. Fastlane act as agents only, with regards to all work undertaken on behalf of the customer. Fastlane reserve the right to use 3rd parties and outsource parts of the booking. Fastlane will require a completed booking form before accepting a job. This must include the name, address and contact details of the sender and receiver as well as a passport of the sender and a completed inventory. Please note for commercial shipments a passport is not required but a commercial invoice is. For vehicles a copy of the V5 must be provided for each vehicle, along with the make/model/chassis and engine number alongside a value. Please note if there are any issues with any of the requirements please let us know ASAP. Once all is received we will put forward and if any additional information is required or any items need clarity we will inform you. Please note this is a crucial stage of the shipment and your quick co-ordination will be required. Please ensure that you minimise the risk of delays/problems by providing all information in a timely fashion as well as being available and checking communication with us. Any delays may cause the goods to incur charges and not be shipped on the planned vessel/and or dates. Any charges for this will be for your account. (a) If shipping vehicles on RORO (Non- containerized), we will require 50% of the payment up front and the remaining 50% no later than 7 days after vessel's departure. (b) If shipping goods in a container, 50% payment will be required upfront. Once container has been packed/loaded we will require the remaining 50% before vessels departure. Payment for container will need to have been received in full before vessel's departure. Interest will be charged at £15 per day for any late payments. If payment is not made before the vessel arrives, we reserve the right to sell/dispose of the goods to recover our costs. Fastlane shall be entitled, on at least 28 days notice in writing to the customer, to sell or dispose of or deal with such goods or documents as agent for, and at the expense of, the customer and apply the proceeds in or towards the payment of such sums. Fastlane shall, upon accounting to the customer for any balance remaining after payment of any sum due to the company, and for the cost of sale and/or disposal and/or dealing, be discharged of any liability whatsoever in respect of the Goods or documents. For perishable goods, we reserve the right to sell/dispose of the goods immediately payment becomes overdue. We will give you written notice of our intention to sell/dispose of the same. The customer shall pay to the company in cash, or as otherwise agreed, all sums when due, immediately and without reduction or deferment on account of any claim, counterclaim or set-off. (B) The Late Payment of Commercial Debts (Interest) Act 1998, as amended, shall apply to all sums due from the customer. Fastlane organise UK custom clearance, booking & reservation of vessel space, and safe keeping of vehicle & its documentation until boarding. Rates are subject to change due to factors out of our control e,g, fluctuations in exchange rates, cargo measurements, sudden increase in price from supplier/contractors, etc. 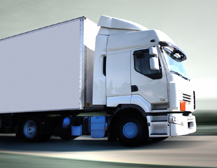 We reserve the right to pass these costs to you in order to fulfil your shipment. Goods are only shipped port to port and Fastlane do not arrange on-carriage unless specifically requested in writing/e-mail. On-carriage will be subject to additional charges agreed at the time of booking the shipment. All our costs exclude destination customs clearance and port charges payable at destination. Standard loading at premises is for 3 hours (20ft and 40ft) unless more time is specifically requested rate to be agreed at time of booking. However if loading on the floor is required only 1 hour is given unless additional time is agreed. We can also offer a drop and collect service up to but not limited to 2 weeks. Please note these rates are variable so it is advised to check with Fastlane for the costs of these services. 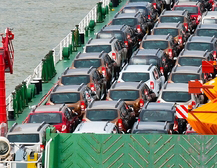 A small minority of governments enforce ever-changing import rules for motor vehicles and other goods in their country; It is always the client's responsibility, to maintain updated knowledge of import rules & regulations of the receiving country. Fastlane act as agents only and are by no way liable for any charges at destination e.g. 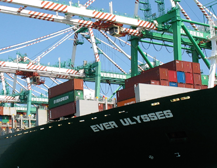 port handling charges, customs duty, storage and detention. We by no way accept responsibility for failure to perform certain task in order to meet entry requirement at the port of destination e.g. pre-shipment inspections, ECTN requirement, PAT testing etc. Please note that vehicles cannot be shipped if on finance. We do not check this until the vehicle is already at the port. Any costs for releasing the vehicle back to the finance company/yourself ( I.e. unloading, port fee’s ect. ) will be for your account. Please note that not all goods are automatically accepted for shipping. You are advised that these are restricted commodities and that you need to discuss with us before booking and also loading to allow for authorization and any additional costs to be confirmed. Car Parts: Please note that car parts are only accepted on the basis that they are clean and have been drained of any oil. Please note that should there be leakage found before/after/during shipping, it is then likely that the floor of the container will to be replaced at very considerable cost to yourself, as all charges will be for your account. We also advise that you check at destination regarding any specific cargo requirements or restrictions e.g. pre-shipment inspections, ECTN requirement, PAT testing etc. We will perform our tasks with reasonable skill and care but cannot be held liable for factors out of our control. Unfortunately, Fastlane cannot be held liable for delays or costs that may arise due to factors out of our control e.g. vessel changes, weather, customs clearance delays, Customs/police inspections, Vessel delays, congestion, strikes, third party delays etc. All collection/delivery dates are estimates and are by no way legally binding. Any course of events the company cannot avoid by course of reasonable diligence. All cancellation must be made by 12pm, one working day before loading date. Any jobs cancelled after this deadline will be subject to cancellation charges.Different cancellation deadline my apply for different shipping methods so best to give as much notice as possible to avoid any cancellation charges. For Loading/deliveries taking place on a Monday, cancellations must be put to us in writing by 11:59 am Friday, or charges will apply. Cargo inside vehicle is uninsured and therefore shipped at your own risk. We can however assist you in finding suitable cover for your goods but this must be made to us in writing/by email and accepted to us in writing/by email. While sourcing insurance for the customer, the company will act as agent only and shall not be liable for any claims. These will need to be made directly with the insurance company/underwriters. Any claims of damages for uninsured cargo will be limited to the value of the cargo or 2SDR per kilo of the gross weight of the cargo lost or damaged, or whichever is lower. The value of the goods shall be their value when they were, or should have been exported or the value provided by the customer (whichever value is lower). The value of SDR shall be calculated as at the date when the company in writing receives the claim. Please note that 14 day cooling off period DOES NOT apply when entering into a shipping contract. Therefore, any cancellation will be viewed as breach of contract. As such, we will seek to recover any costs we may incur as a result of your cancellation. Goods are shipped at consignee's own risk and Fastlane do not take responsibility for any loss or damage. We therefore advise that you buy appropriate marine cover. As mentioned previously we are able to point you in the right direction. We will always attempt to meet collection deadlines however. The following factors need to be considered. 1. We act as agents only when it comes to collection. This is because we don't own or run any trucks for collection. As such, we cannot be held responsible for any losses that arise due to drivers turning up late for collection, or have to reschedule collection date. 2. It is your responsibility to ensure the loading address has suitable access for the trucks to be able to collect your goods. Should the trucks have to abandon the job due to lack of space etc, all costs incurred due to this cancellation will be passed on to you. Please note this applied for LCL shipments and dropping of containers. If you are unsure of space needed please contact us and we can advise. 3. All collection times are estimated as we cannot guarantee an exact time due to factors out of our control e.g. weather conditions, road traffic etc. 4. For trucks being delivered on the floor, we only provide morning (8am to 12pm) and afternoon slots (1pm to 6pm). We cannot guarantee an exact time and deliveries will have to fall within the morning or afternoon slots. We can arrange for these to be at specific times and this does carry an additional surcharge. 5. Please note for all shipments we will simply be bringing a driver and all loading/lifting will need to be done by yourselves/designated loading team (unless previously agreed). Please ensure you have the correct strapping/lifting equipment for all goods to be packed safely and at no risk to yourself. For LCL we can provide a tail lift on-site and palleting/wrapping at one of the warehouses if required however all must be confirmed beforehand. For containers there will be no additional support. On some occasions, Fastlane will assist in the purchase of vehicles on behalf of clients for a fee. Please note the fee is purely for purchase of the vehicle alone, we will run a basic check on the vehicle through relevant authorities including the police, to check vehicle legitimacy. However we cannot guarantee that the seller is legitimate and most purchases will be made over the phone or through email. We cannot therefore guarantee that the seller is genuine and it is entirely your responsibility to do so. As such, we cannot be held liable for any non-delivery of vehicles to us, fraudulent sellers, or sellers not honouring their end of the bargain. By acting as your agent, we take no responsibility for the condition of the vehicle and it is your responsibility to make the necessary checks to ensure that both the vehicle and the seller are genuine. English law shall govern this contract and any disputes shall be governed by jurisdiction of English courts. by jurisdiction of English courts.